The NIA has sent a formal request to Pakistan to allow a team to visit the country in connection with investigations into the Pathankot terror attack of 2 January. The NIA's letter was sent to the Ministry of External Affairs which will forward it to the relevant authorities in Islamabad. The NIA wants to record the statements of, among others, Jaish-e-Mohammed chief Maulana Masood Azhar, his brother Abdul Rauf, and Shahid Latif and Kashif Jaan, who allegedly handled the terrorists who attacked Pathankot, according to The Indian Express. The NIA has been pressing for this visit after it welcomed a joint investigation team from Pakistan that included an ISI officer, to India between 27-31 March, to conduct its own investigation into the attack. The Pakistani JIT had held meetings with NIA officers in New Delhi and was also allowed access to the Pathankot airbase. 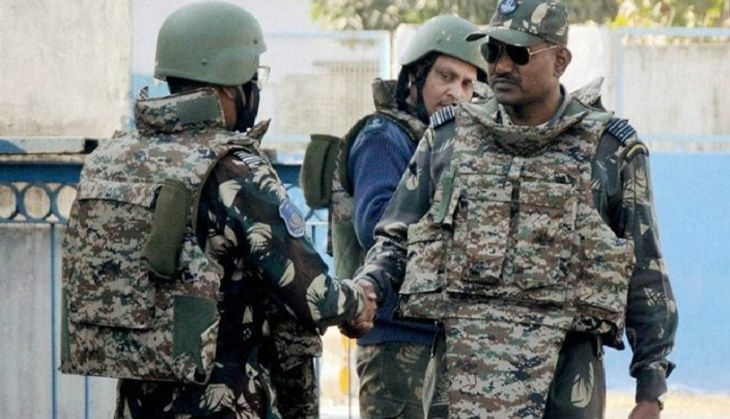 An NIA officer said: "We have been seeking reciprocity from Pakistan on the Pathankot probe. While the issue of a reciprocal visit by the NIA to Pakistan was discussed during Foreign Secretary-level talks on the sidelines of the Heart of Asia conference, we are now sending the first formal request seeking a visit to Pakistan." The issue has been dogged by controversy ever since Pakistan High Commissioner Abdul Basit said on 7 April that "the investigation (into the Pathankot attack) was not about reciprocity" and that the key was instead "cooperation". However, minister of state for home affairs Haribhai Parthibhai Chaudhary had told the Rajya Sabha last month that "the interaction with the JIT was held in accordance with Terms of Reference mutually agreed on the basis of reciprocity."